Do you love photo editing tasks ? If you love to edit image on your iPhone, this article is going to tell you about some great free image editing apps for your iPhone. Most of these apps are universal and can be used on your iPad but some are only for iPhone. All of these photo editing apps are currently available free of cost on the App store. 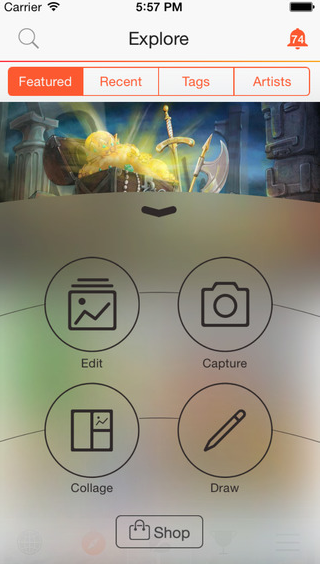 Try these great #image editors on your iPhone. 1. Photo Wonder ( #iPhone ) - Photo Wonder is a great photo editing app that can be installed free of cost on your iPhone. 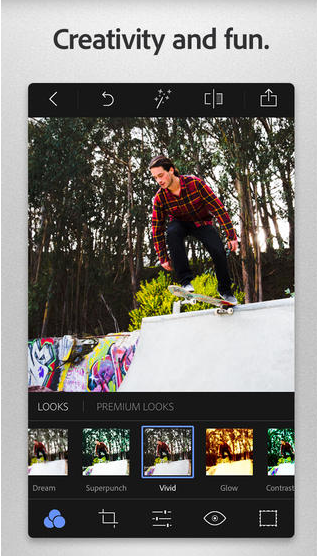 The app comes with tons of features and helps you make amazing photos like professionals. 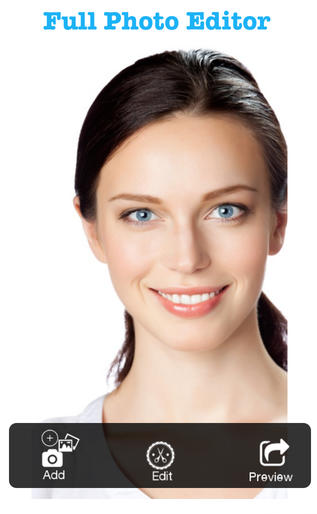 The app can also be used as a makeup tool to beautify your skin and body. 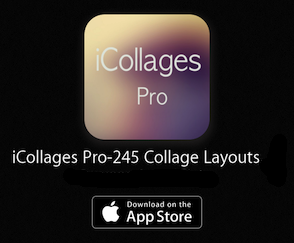 One of the best image editors for iPhone users that includes tons of options. The app comes with four main features which are- powerful photo editor with makeup tool, collage maker with free rotation option, camera filters with beautiful photo effects and lots of fun photo materials including stickers and animated emoticons. Recommended app for creative users. 2. Editor Pro- Fun stickers & editor ( iPhone & iPad ) - Editor pro is a very useful image editor that comes with lots of useful image editing tools such as photo effect tool, adjustment tool, image cropping tool, stickers, blur & focus tool, image rotation tool, resizing tool, text tool, image frames etc. You can download this image editor free of cost on your iPhone and iPad. 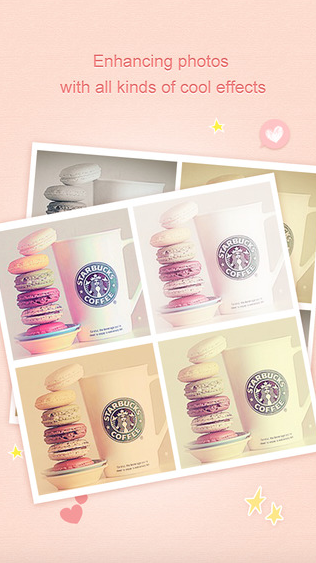 The app also helps you share your images on social networks. 3. Photo Editor - ( iPhone & iPad ) - Photo Editor is a useful free image editing app that comes with lots of useful tools which can be used to edit and enhance your images. The app lets you apply different types of stylish photo effects , add cool stickers to make funny photos, use different types of photo filters, add beautiful photo frames , adjust color & brightness of your photos, remove blemishes, whiten smiles , draw on your photos and add stylish texts to your photographs. 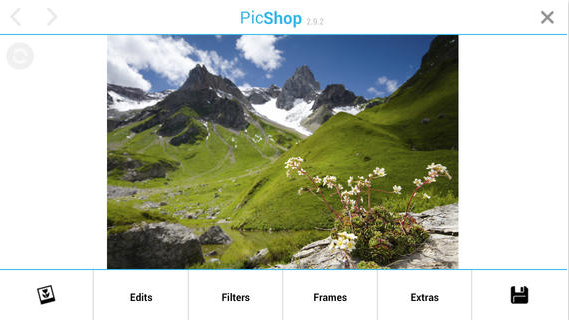 One of the best free photo editors on the Apple Appstore that lets you enhance your photo easily on your iDevice. 4. Adobe Photoshop Express ( iPhone & iPad ) - If you are looking for free photo editing program of adobe, you can try Adobe Photoshop Express on your iPhone and iPad. The app is available free of cost on the Appstore that comes with some useful features which can be used to make your photographs more beautiful and attractive. The app contains many useful features and if you want to access all of those features, you buy advance pack through in-app purchases option. Great app for iOS users. 5. PicShop Lite ( For iPhone & iPad ) - PicShop Lite is a great free photo editor that comes with many features. 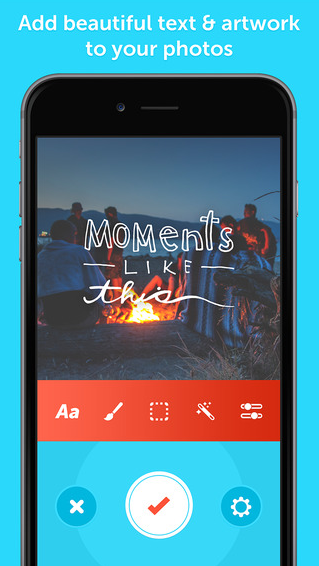 The app allows you edit, enhance, and share your images with your friends. 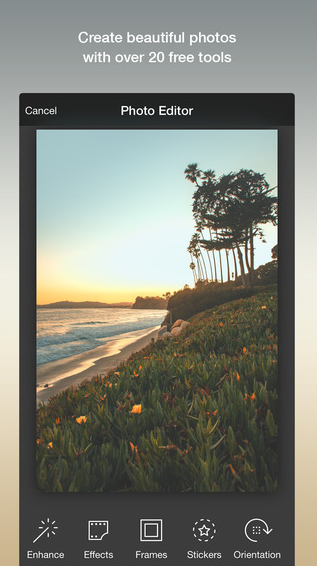 The app comes with lots of image editing tools , dozens of photo effects & filters, photo frames and many other features. Great photo editing app that lets you enhance your photo with just a few taps. With the help of this app, you can easily remove blemishes and red eyes, add fun stickers on your photos, use speech bubbles and improve image quality by using auto correction tool. 6. Photo Editor By Aviary ( iPhone & iPad ) - One of the most popular free image editors on the Appstore that comes with 20 useful image editing tools. The app contains lots of useful editing options such as beautiful photo effects, image filters, image enhancer, red eye removal, image cropping option, photo rotation tool, fun stickers, photo frames, meme and many other useful features. Very useful app that is available free of cost on the Appstore, if you want to access more features, you can unlock more features through in-app purchases. 7. PicLab - Photo Editor ( iPhone & iPad ) - PicLab is a beautiful photo editing app for iOS users that includes lots of features with beautiful typography and artworks. The app contains powerful photo editing tools, image collage making tool, drawing tool, photo themes, lots of gorgeous photo effects and many other tools. 8. Repix- Inspiring Photo Editor ( iPhone & iPad ) - Repix is a great photo editing app that is currently available free of cost on the Appstore. Very useful and beautiful image editor that comes with some great features which can only be found in few apps. The app turns your simple photos into beautiful artwork. One of the best photography app that can be used on your iPhone and iPad free of charge. The app comes with lots of amazing photo filters, more than 28 handcrafted brushes for photo effects, more than 10 beautiful image frames, adjustment tools and many other useful features. Great app to make your photos more attractive. 9. 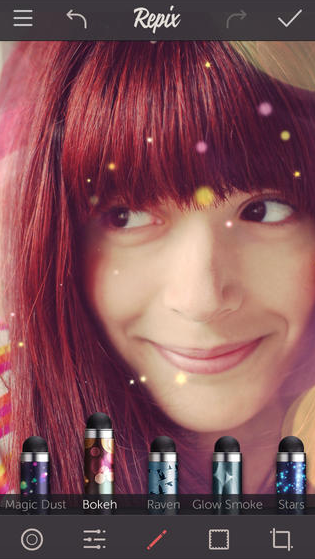 PicsArt Photo Studio ( iPhone & iPad ) - PicsArt Photo Studio is a powerful image editor that includes many useful photo editing features. Very useful app that comes with free photo collage maker, free photo editing tools, drawing tool and photo sharing tool. The app allows you to join photo art community where users can share and search beautiful photo artworks.